Do you need a reliable mobile Locksmith to service your Residential properties? Bart’s Lock and Safe Service in San Jose, CA can provide Rekey service, Repair or Replace Hardware, Lockouts, Safe Service, Door Service and more. 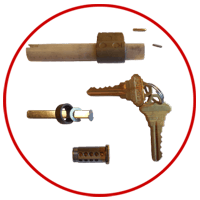 Bart’s Lock and Safe Service in San Jose can Rekey your house so one key will operate all the locks. This will only work if all your locks have the same keyway. You can test your locks by inserting your key and seeing how many locks it will go into. If the key goes into all your locks we can rekey to one key. If the key won’t go into some of the locks, in order to rekey to one key some of the locks will need to be replaced so all the locks will have the same keyway. Or if replacement isn’t desired we can rekey the two groups of locks with two separate keys. Call Bart’s Mobile Locksmith Service for a estimate. Did you take the dog for a walk locking your keys inside your residence? Are your keys lost or stolen? San Jose’s Mobile Locksmith Service will gain access to the building using professional techniques at a reasonable price. Call Bart’s Lock for a Estimate. Be sure to get a firm quote when calling around for estimates. Some unscrupulous companies will claim a low price on the phone after trying to open the lock the fake locksmith will claim the lock needs to be drilled charging an exorbitant fee for drilling and replacing the lock. Before hiring any company whether it’s a plumber, electrician or a Locksmith get their Lic. # before they come out if they won’t give it to you call someone else. Check the License # with the Contractor’s State License Board. For Contractors. Use the link below. A Deadbolt is the primary lock used on Residences for security. Proper installation is required to achieve the level of security the lock provides. Bart’s Lock can install deadbolt locks on all your exterior doors and the door from the garage to the house. The new deadbolts can be keyed the same as the existing locks. Call Bart’s mobile Locksmith in San Jose for an Estimate. The most common entry point for a burglar is the door from the side yard into the garage. Commonly this door is hidden from view we recommend installing a security gate to protect this door (many side doors have glass in them). Bart’s Lock can install deadbolt locks and security gates on wood and metal doors. 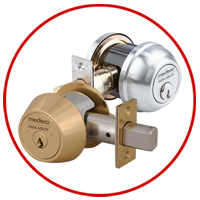 The use of Double cylinder deadbolts on residences is prohibited by the National Fire Protection Agency, Life Safety Code: 101 and the California Building Code. 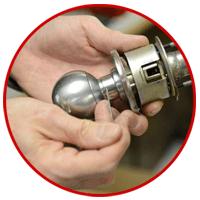 Bart’s Lock and Safe Service has the skill, knowledge and equipment to install or repair all types of hardware on your home. Deadbolts, Handel sets, Mortise Locks, Knob Locks, Levers, Weather-Stripping, Thresholds, Door Bottoms, Peep Holes, Door Adjustments, Strike Plate Adjustments, Sliding Glass Doors and more. We stock many of the most common repair parts and fasteners on our Mobile Locksmith Service Van. 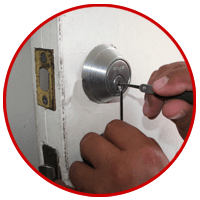 Call Bart’s Lock in San Jose, CA for your Locksmith Installation and Repair needs.